Xiaomi MI A1 was one of the most popular smartphone by Xiaomi but after the launch of Xiaomi Redmi note 5 pro, it beats the MI A1. The Xiaomi redmi note 5 pro has more feature then MI A1. Now the Xiaomi is going to launch MI A2 which is also a most expected smartphone in 2018. There are only few defferences between MI A2 and Redmi note 5 pro. Below are the differences between both smartphones. 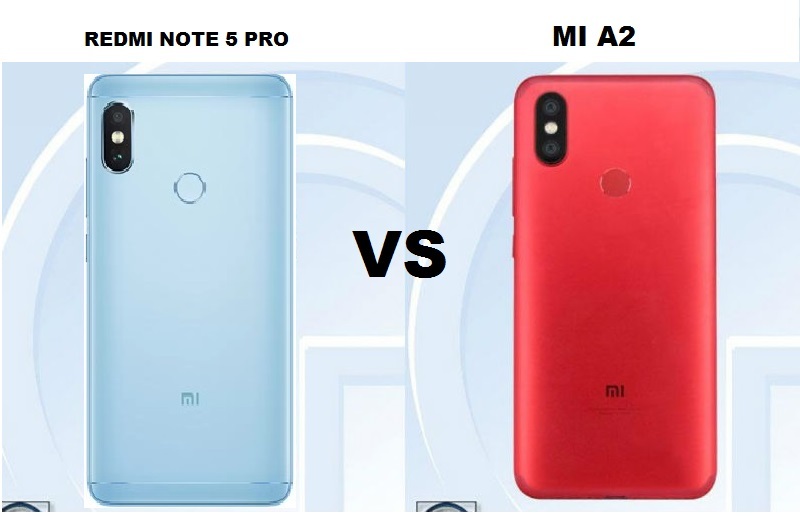 The Xiaomi redmi note 5 pro and MI A2 has the same size display which is 5.99 inches IPS LCD capacitive touch screen with a resolution of 1080 pixels by 2160 pixels and it is 18:9 ratio display. Both the smartphones has Corning Gorilla Glass 3 protection and back panel of both the smartphone is also similar. The Xiaomi Redmi Note 5 pro runs on Android OS v7.1.2 (nougat) where as the MI A2 will comes with Android v8.1 (Oreo) and it will also a Android one smartphone. The Redmi note 5 pro has 1.8 GHz octa-core Qualcomm SDM636 Snapdragon 636 processor where as MI A2 will have 2.2 GHz Octa-core Qualcomm MSM8953-Pro Snapdragon 626 processor. 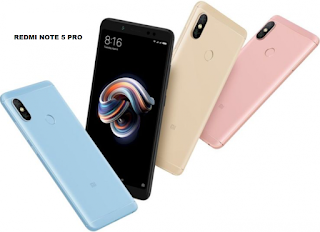 The Redmi note 5 pro comes in two variants one is 4 GB RAM or 6 GB RAM and it has 64 GB internal storage on both the variants. internal storage of the redmi note 5 pro can be expandable upto 256 GB via micro SD card. 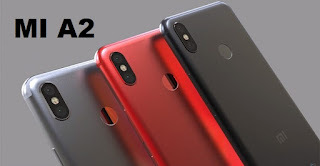 The MI A2 will also come in two variants one is 4 GB RAM with 64 GB ROM and other one is 6 GB RAM with 128 GB ROM. Internal storage can be expandable upto 128 GB in 4GB variant. The xiaomi Redmi note 5 pro comes with 12MP+5MP dual rear camera with phase detection autofocus and LED flash where as the MI A2 will have 20MP+8MP dual rear camera with phase detection autofocus, 2X optical zoom and dual tone LED flash. In terms of front camera both the smartphone has 20MP front camera but only redmi note 5 pro has LED flash in front. The Redmi note 5 pro comes with 4000 mAh Li-PO non removable battery whereas the MI A2 will have 2900 mAh Li-ion non removable battery. 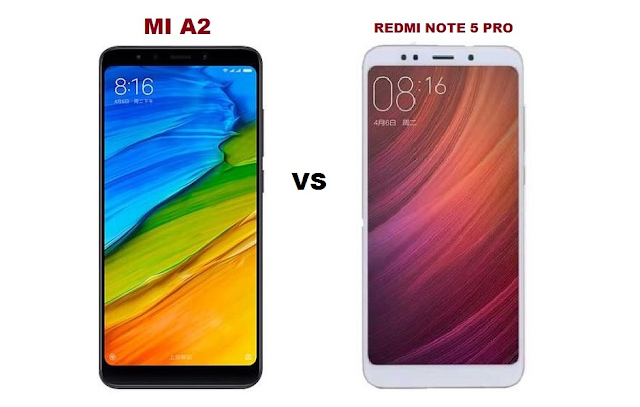 As per our opinion The Xiaomi redmi note 5 pro is better then MI A2 because it has 4000 mAh battery and some other features are also good in redmi note 5 pro as compare to MI A2.